Pelvic ring fractures in the elderly gain increasing importance. Nonetheless, data on factors influencing treatment decision in relation to fracture classification, age, and the resulting treatment are still rare. Prospectively collected data of the German Pelvic Injury Registry from patients aged over 65 years with a pelvic ring fracture were evaluated retrospectively. Acetabular fractures, as well as type A1 and A3 fractures, were excluded. 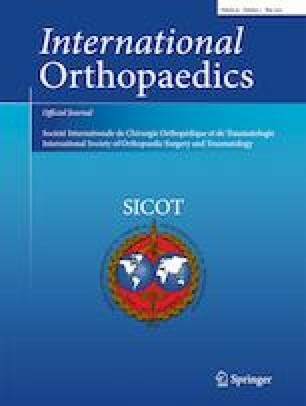 The variables age, injury pattern, type of treatment, the reason for conservative treatment, and Orthopaedic Trauma Association (OTA)/Tile classification were analyzed. Furthermore, the fracture distribution was examined after dividing patients into six age groups. A total of 1814 patients with a mean age of 80.7 ± 7.6 years, predominantly female (79.0%), were available for evaluation. The majority of patients suffered from isolated pelvic ring fractures (70.1%) and 8.2% were severely injured (ISS > 16). The most common fracture types were type A2 (35.4%), type B2 (38.0%), and type C1 (7.3%). Especially pelvic ring fractures of type A2 (96.9%) and type B2 (83.0%) were treated conservatively (overall 76.9%). Fracture instability according to the OTA/Tile classification increased the probability for an operative treatment (generalized odds ratio [OR] 6.90 [5.62; 8.52]). In contrary, increasing age independent of the fracture pattern decreased this probability (OR 0.47 [0.41–0.53]). With increasing fracture instability, general health conditions were up to 50% of the reasons for conservative treatment. The results of the present study underline the importance of the factors age and general health besides fracture classification for therapeutic decision-making in the treatment of pelvic ring fractures in the elderly. Andreas Höch and Philipp Pieroh contributed equally to this work. The online version of this article ( https://doi.org/10.1007/s00264-019-04326-w) contains supplementary material, which is available to authorized users.